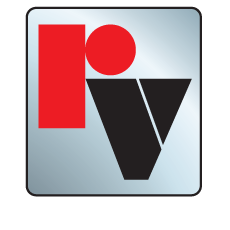 Red Valve's Manually Actuated Pinch Valves are reliable, maintenance-free, cost-effective valves engineered for tough slurries, abrasives, and corrosive chemical applications. 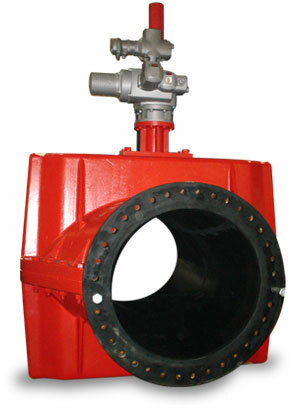 The 100% full port design eliminates any dead spots or crevices, seats or bearings where slurry can hang up and impair operation or even cause complete valve failure. 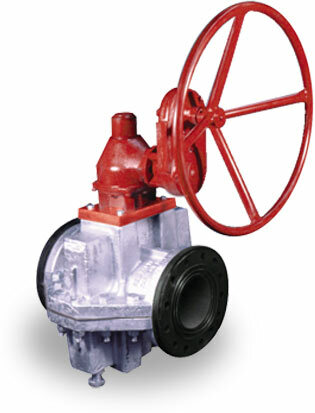 Manual Pinch Valves feature bi-directional drop tight shutoff in a design that meets the same face-to-face dimensions as gate, plug, and ball valves up to 12". Manual Pinch Valves employ Red Valve's state-of-the-art elastomer technology to provide smooth venturi flow, centerline closure, and excellent throttling characteristics. A number of options are available, such as the Series 75B design for buried-service conditions. 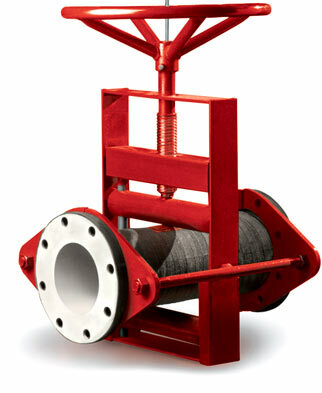 AWWA nuts, chainwheels, stem extensions, and bevel gear actuators are also available. 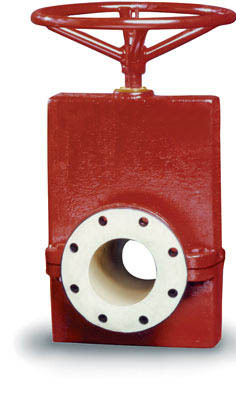 Click on any of the product photos below to learn more about our line of Manual Pinch Valves.